for Mary (mcdonegal) I am not too sure but such two toned sheep are not common here. What a feast! Great capture for sure. Nice detail. Oh my...this is quite a find. Great find - love the caption! Superb colour, wonderful street shot again! great shot! He's found a feast! must be a wolf in sheeps clothing!!!!! What!! 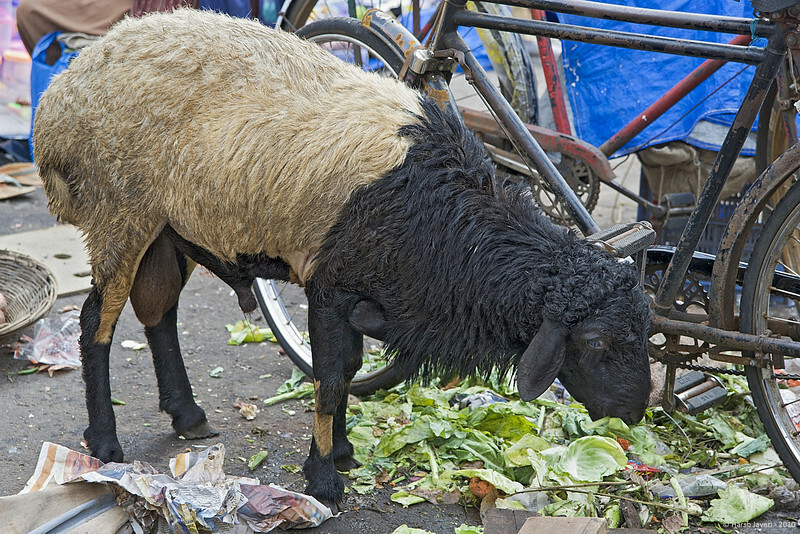 the sheep is eating food at a market. Very funny and nice shot! !